A somewhat loosely assembled cigar which wants to be double/triple puffed, yet performs fine all-told. Notes of a dialing back through progression black pepper and an oppositely directed bittersweet chocolate. Secondary notes of red/purple fruit syrups, Coffee, and pumpernickel bread. Liltings of pipe tobacco and mounting hickory. Leathery compost under-belly. A rather short-lived finish on a delicately rich profile, smoothly delivered. Subtly transitioned and well balanced. 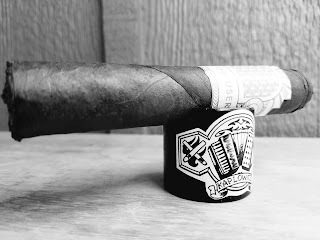 In proof that the company’s blends stand on their own and also for smoker[s] who might not want an infused cigar, The Defuser Series is the company’s same three blends, just without the Absinthe infusion. They’re offered in the same sizes at the same price as the infused series." "Dark and luscious, San Andres maduro wrappers have entered a new golden age, and the Alpha Cigar Co. Defuser is a rare maduro cigar that stands above the rest. It offers the combination of earthiness, spice, and sweetness that the ideal San Andres wrapper bestows on a cigar, with great aging potential due to the oils in the wrapper." 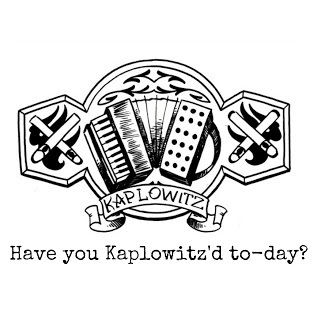 I talked my way through this offering HERE in a Kaplowitz To-day episodic audio episode.